Presented by Brenda Muller, Asset Preservation FL Division Manager. 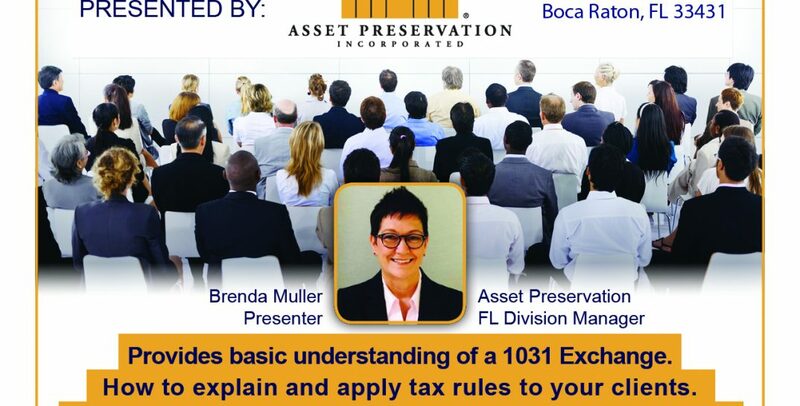 This seminar will provide basic understanding of a 1031 Exchange, and how to explain and apply tax rules to your clients. It will also cover a review of common terms, processes, strategies, compliance issues related to completing a 1031 Exchange form. Earn 3 CE credits and stick around after for our Cinco de Mayo celebration. See you on May 4th!